It is with great sadness that we mourn the passing of Ambassador Meir Rosenne. Ambassador Rosenne, shown in the attached photo at an Israel Bonds Holocaust Remembrance Award Dinner with Henry Kissinger, Elie Wiesel and Sigmund Strochlitz, was widely recognized as an accomplished diplomat who represented Israel with distinction in Paris and Washington. Ambassador Rosenne was also appreciated for his role in forging peace between Israel and Egypt. As the Foreign Ministry’s legal advisor, he played an essential part in drafting the Camp David Accords. And, I remember Ambassador Rosenne’s dedicated leadership with Israel Bonds, for which he served as president & CEO from 1989-1994. His time at Bonds coincided with historic and crucial events for Israel, including Operation Desert Storm and the influx of hundreds of thousands of Soviet Jews. He responded to these events by helping to lead the organization to significant sales. I applaud Ambassador Rosenne’s achievements on behalf of Israel and the Israel Bonds organization, and I send my condolences and prayers to his family. Israel Bonds Holocaust Remembrance Award Dinner. 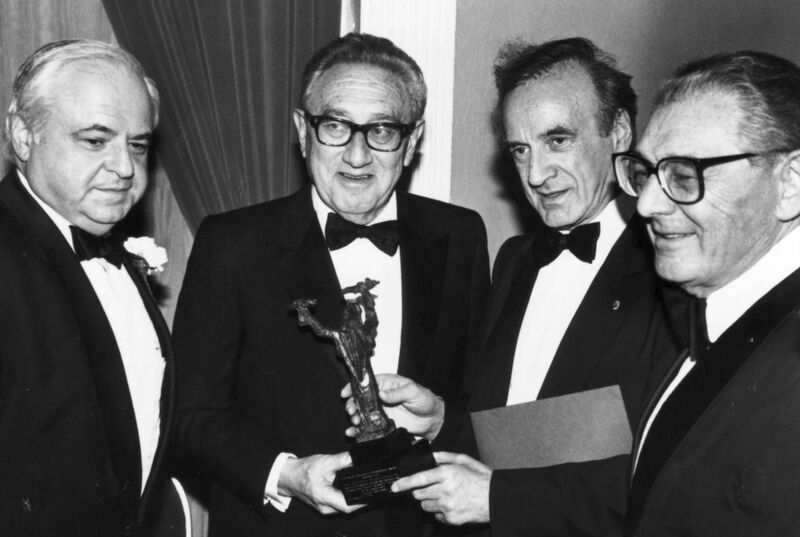 From left to right: Meir Rosenne, Henry Kissinger, Elie Wiesel and Sigmund Strochlitz. 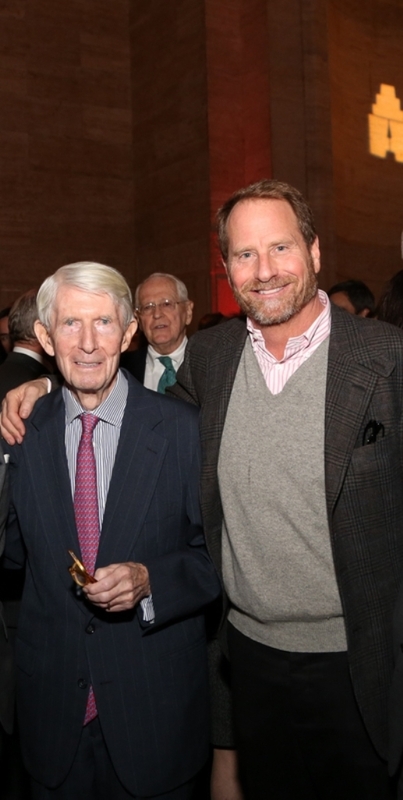 This past April 6th, Halstead Property hosted our annual meeting in the magnificent Cipriani space on 42nd Street, the former grand banking hall of the Bowery Savings Bank. Over 1200 of our agents participated in an uplifting atmosphere celebrating the magnificent year that Halstead achieved for 2014. 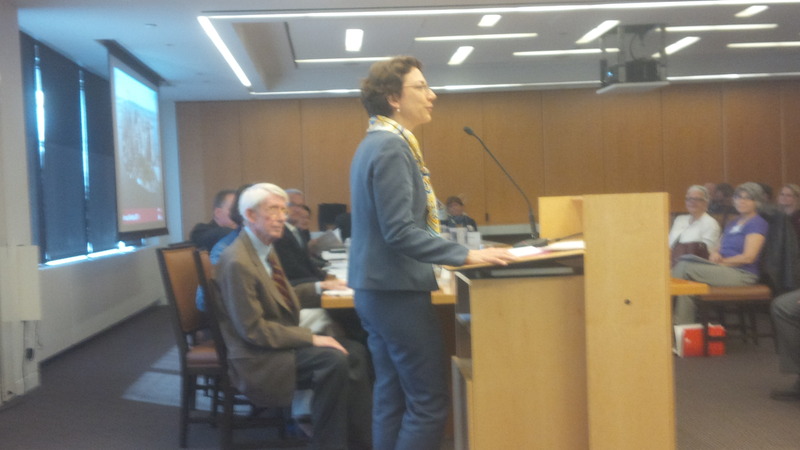 Diane Ramirez, Halstead’s CEO, led the meeting along with the participation of Richard Grossman, Halstead’s Executive Vice President/Managing Director, and with many other executives presenting along the way. I am so proud to be apart of Halstead for the past 14 years, and I am looking forward to a wonderful 2015! Kent Swig against the Halstead Property “step and go” backdrop”. 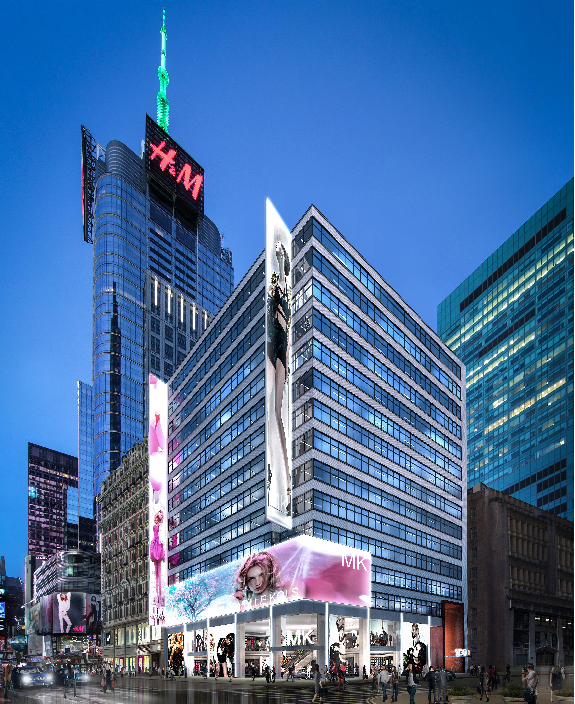 Recently, my family’s company, The Swig Company, in conjunction with our partner Himmel + Meringoff Properties, signed a new 180,000 square foot lease at one of our New York City properties at 1460 Broadway with the tenant WeWork. This lease spans for 19 years and the tenant will occupy the entire building except for 35,000 square feet which includes the ground, second and third floors which will be occupied by a major retail tenant. I wish my heartfelt congratulations to Leslie Himmel and Steve Meringoff for their incredible efforts and hard work to make this wonderful deal happen! 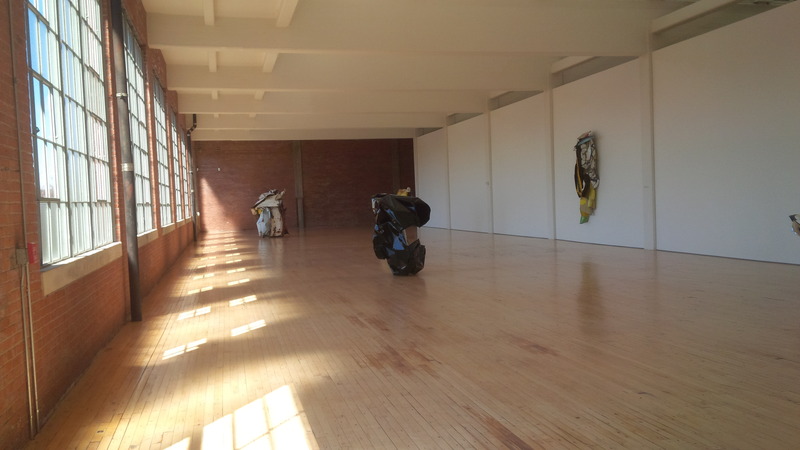 This Saturday April 4th, I visited Dia Beacon, a contemporary art museum that opened in May 2003 that occupies 300,000 square feet within a former industrial building situated on the banks of the Hudson River in Beacon, New York. Dia presents a vast range of artworks by an array of some of the most significant artists from the last half century in an incredible venue comprised uniquely and largely of all natural and indirect lighting. 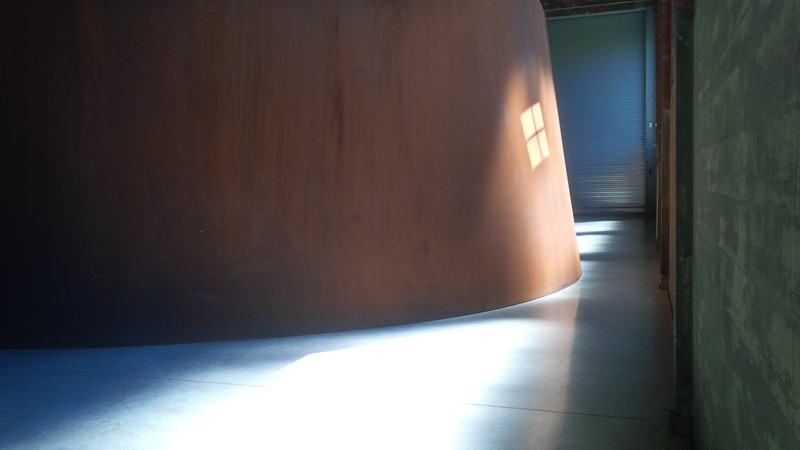 Dia’s space allows the works of art to be curated within a large and open setting and affords the museum the opportunity to show a depth of works from each artist that is rarely seen in other museums; the result is spectacular! 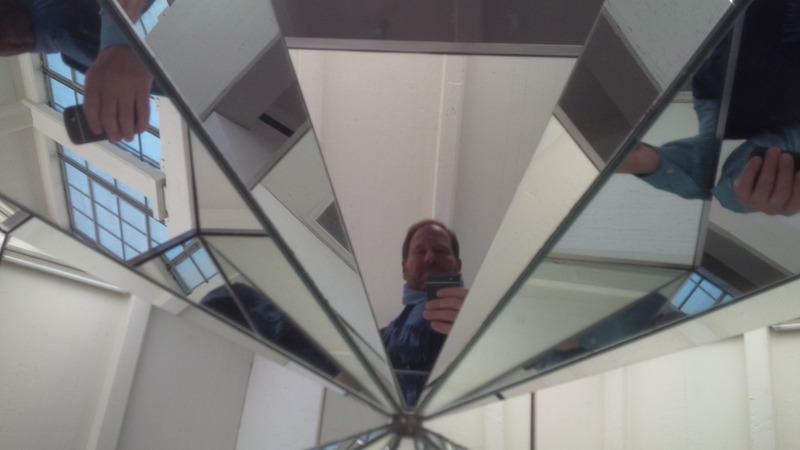 Self-reflection within the art work by the artist Joseph Beuys. 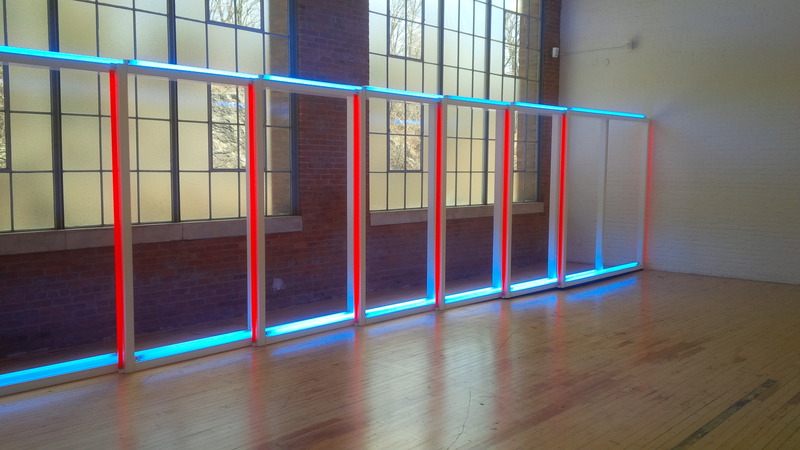 A work by Dan Flavin against the back drop of the former industrial building in Beacon. 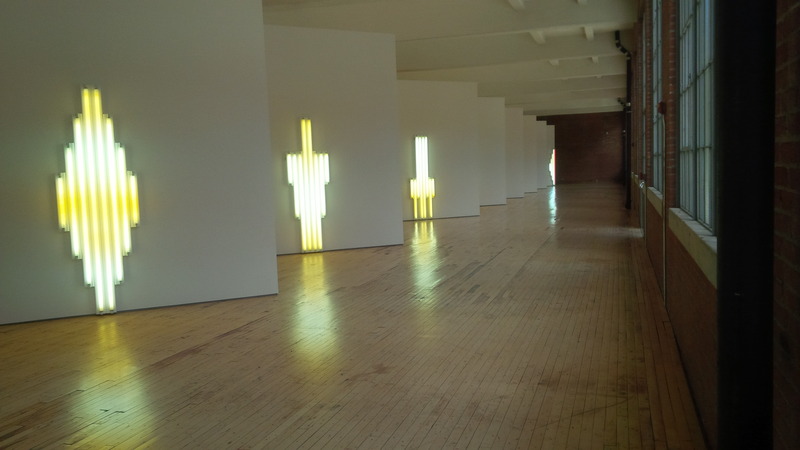 Monuments by the artist Dan Flavin. 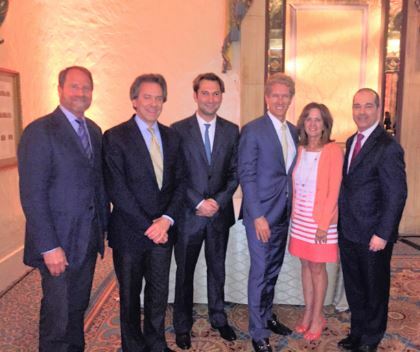 On March 16th, Brown Harris Stevens held its annual meeting for our Palm Beach office. The meeting was held in the Gold Room in the Breaker’s Hotel and was attended by all of our agents in the Palm Beach area led by Ava Van de Water (Executive Vice President) along with our New York executives Will Zeckendorf (Co-Chairman), Bess Freedman (EVP/Managing Director of Sales & Business Development), and Gerry Makowski (Executive Director of Marketing). 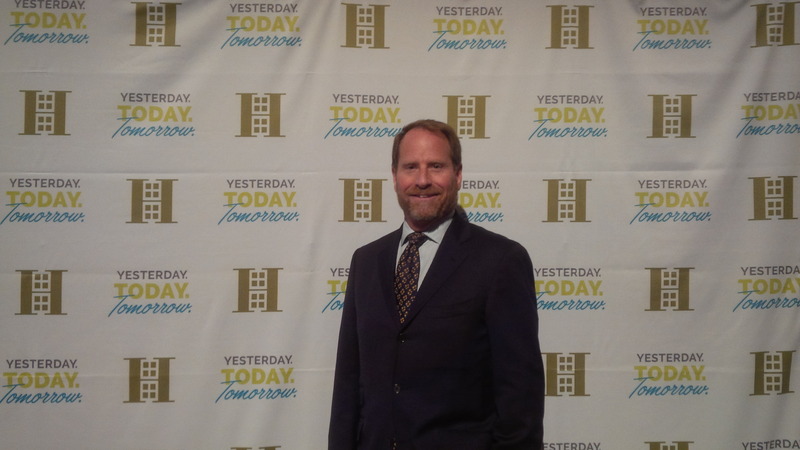 Also in attendance was Dan Conn (CEO of Christie’s Great Estates) who spoke about the wonderful relationship that Brown Harris Stevens has with Christie’s and congratulated us on being the number one affiliate in terms of gross revenue production in the entire network of over 1300 affiliated companies and 33 000 agents. As we celebrated our 17th year of operation in the Palm Beach market, we acknowledged the great year that we had in 2014 which was partly made possible by the four-fold expansion of our Worth Avenue offices. We look forward to another great year in 2015! Brown Harris Stevens Meeting. From left to right: Kent Swig, Brown Harris Stevens; Will Zeckendorf, Brown Harris Steven; Ben Stein, Brown Harris Stevens; Rick Moeser, Christie’s Great Estates; Ava Van de Water, Brown Harris Stevens; Dan Conn, Christie’s Great Estates. 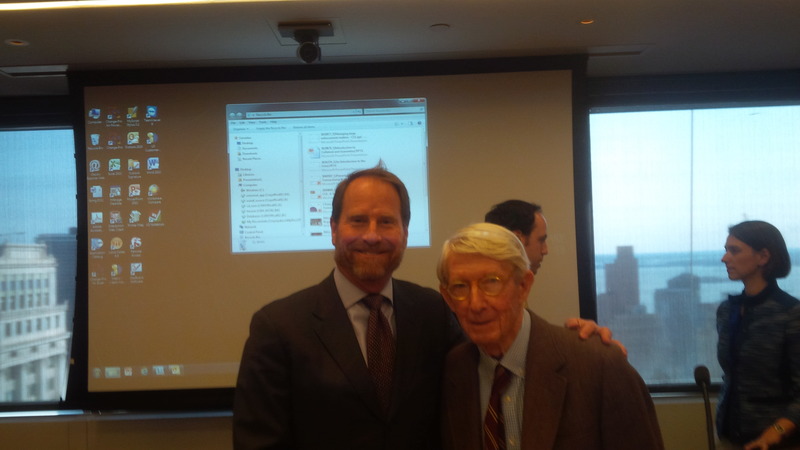 On January 28th, I attended the 20th anniversary of the creation of the Alliance for Downtown New York, one of the first Building Improvements Districts (BIDs) in New York City and on whose board of directors I participate. I cannot believe that this BID is now 20 years old and looking back over these 20 years, it is amazing how many wonderful achievements have been accomplished! The evening was a great success and I was so thrilled to participate in the gala and see my good friend, Robert Douglas, be honored as he has been the Chairman of the Downtown Alliance since its founding. 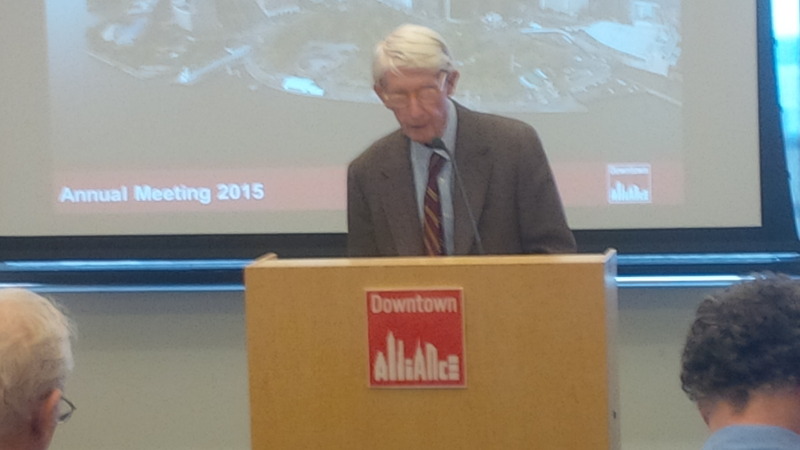 Congratulations to the Downtown Alliance and a special congratulations and thank you to Bob Douglas for his insights, efforts, strong leadership, and immense caring!! Kent Swig with Robert Douglas and Charles Urstadt in the background.